The workforce mobility revolution is here to stay. And its beating heart is Android™. Boost productivity – our devices demonstrably enhance your team’s productivity. For example, the TC8000 touch mobile computer offers a new scanning workflow that complemented by Android’s ease of use helps warehouse workers gain an extra hour every day. Choose the best device for your tasks – we offer the ­biggest range of Android devices that are built for the job in hand. From life on the road, to life on the shop floor to life in the warehouse and from small, lightweight, pocketable handhelds to rugged devices built for harsh environments and heavy usage. We have everything you need whether you work in manufacturing, warehousing, transport & logistics, retail or healthcare. 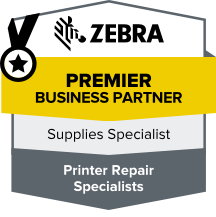 Benefit from maximum flexibility and customisation ­– Zebra Mobility DNA is our comprehensive suite of ready-to-go applications, utilities and tools that can be customised to meet your business needs. Together they help you transform Android into a series of must-haves for workforce mobility that make it easier to roll out and manage your devices, protect the integrity of your apps, devices and data, improve communication between your teams and help your people do more in less time. Contact IntegraServ to find out how Zebra makes Android truly enterprise-ready.